If you are a self-publishing author looking for someone to proofread your novel or short story, you can simply send me your final draft and I’ll let you know whether I can help you. If I can, I’ll give you a quote. Proofreading fiction is of course a little different to proofreading other sorts of texts. As you probably already know, in the publishing industry proofreading is the last task in a long list of work that is done on a manuscript by editorial professionals. It is the final check on a text that has ideally been edited and then copy-edited. Noting formatting issues such as inconsistent paragraph spacing/margins (but not correcting those). Ideally, as many people as possible should read your manuscript before you finalise it (it’s best to have a number of beta-readers read your work so that you can get useful feedback, but any friends or family who have analytical and crticital skills can provide useful feedback and spot errors too). I suggest you consider this even after my proofread, because you will be doing work on the text after that, and errors can creep in. You can see testimonials from some of the clients who’ve been happy with my work. I have a love for fiction, a feel for language and an eye for detail, and would do my best to substantially improve the quality of your text. Please get in touch with me here, by email, via bev.sykes@superscriptproofreading.co.uk or by phone on (+44) (0)7503 845938. The SfEP’s code of practice (CoP), Ensuring editorial excellence, is a really useful resource for editorial workers – editors, proofreaders and project managers, whether working freelance or in-house – and their clients and employers. 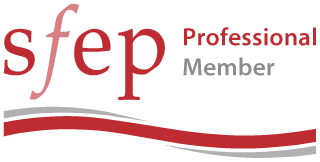 Its purpose is to establish standards of best practice for SfEP members and help them maintain them and to encourage good professional relationships. Good communication between client/employer and freelance/employee is essential. Clear briefing and the agreement of terms are vital if high standards are to be maintained by both parties, and unsurprisingly they’re emphasised by the CoP.